By Developmentally Appropriate, we simply mean that toys, educational products and instruction are designed to directly correlate with the child’s current physical, social, and cognitive developmental abilities. Well-known Psychologist Jean Piaget believed that early learning progresses from concrete to abstract thought. 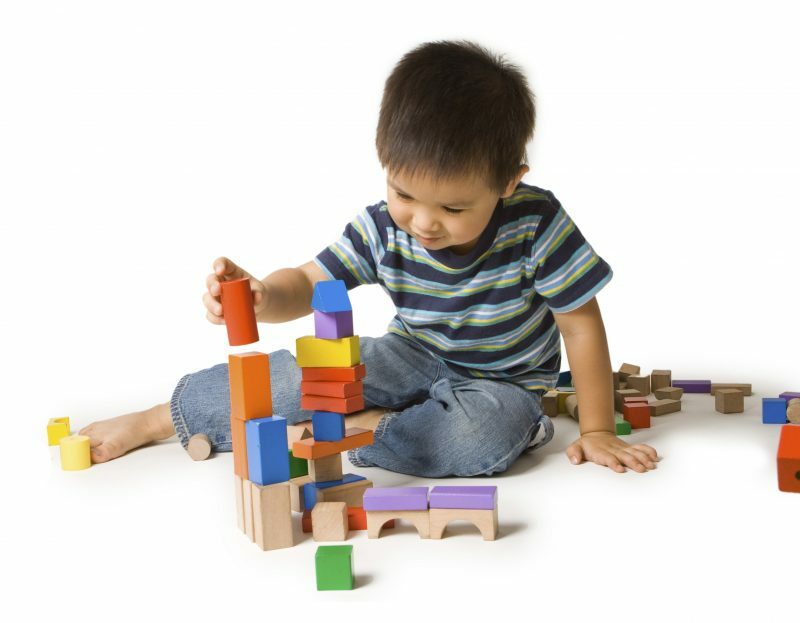 Since a baby or young child learns about his world by manipulating toys or objects using his senses of sight, hearing and touch, programs that attempt to teach abstract abilities that seem “too good to be true,” probably are. In the long run the child will probably not be proficient in the desired area because the brain was not capable of truly understanding what it was being asked to do. Physical development follows a specific order of events as well. Since development progresses from gross motor (large muscles) to fine motor (small muscles such as fingers) we wouldn’t expect a baby to write before he can walk. Generally, if the activities that we are expecting the child to perform are ahead of his developmental calendar they will not only be ineffective, but will cause frustration for both mother and child. When instruction and products are developmentally appropriate the frustration is removed and learning is fun! Babies and children learn best through “play.” It’s out best kept secret as educators. Their little bodies should be running, jumping, kicking, climbing, and throwing. Their hands should be manipulating objects by pushing, pulling, building, dismantling, shaking, throwing, collecting, and feeling. These activities help children develop the thinking skills which are prerequisites for the academic skills needed for Reading and Math. In addition, it’s important for parents and educators to understand that learning is most effective when the baby or young child is familiar with the subject and can be actively engaged throughout the learning process. Parents, caregivers and teachers who follow the child’s lead are the best facilitators of brain and language development. Watch to see what he’s interested in by looking at his eyes and body language. For example, if he’s looking toward the garden, focus on what he seems most interested in and expand upon it. For example, a mom notices her baby is looking toward the bush with blooms on it and says, “Look at that pretty yellow flower growing on the bush. It feels soooo soft?” (taking baby over to feel it for tactile as well as visual stimulation). In conclusion, babies and young children learn about their world through their senses and experiences. When a parent takes their child out into the world, social, brain, and language development are all happening simultaneously as he interacts with new people and sees new places. In addition, allowing him to explore by manipulating toys and objects using his senses, and by moving, moving, moving in appropriate ways, will stimulate his brain to it’s capacity! So keep him busy moving and exploring moms, and he will be happy… because when baby is happy, mommy is happy! At Bear Hugs and Butterfly Kisses we will strive to help you understand your child’s growing mind and body so that learning is fun and you can truly find joy in every day with your little gift from God. Happy parenting… Enjoy the journey!